What does your organization want its compensation programs to accomplish? Compensation strategy is part of a company’s human resource strategy and should be integrated with all other elements of human resources. External factors, such as, trends in supply and demand for talent, customers, markets, and challenges affect where an organization is. Internal factors, such as core competencies, values, culture, strategic initiatives, and skills of current employees additionally affect an organization’s human resource strategy. Compensation strategy is used to design new programs, evaluate existing programs, and communicate programs. Obtaining information and perspectives from stakeholders including directors, executives, managers, employees and customers. 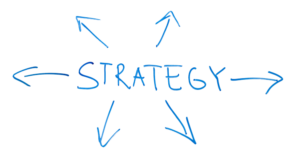 Considering the organization’s business strategy and human resource strategy, and its stage in the business life cycle. Benchmarking the organization against competitors for both employees and in business. This involves understanding an organization’s relative positioning, but not necessarily blindly following. It also considers the economics of the business. Then deciding what’s best for the organization. Developing an initial trial strategy and testing it with stakeholders. Implementing, monitoring, evaluating and revising. Understanding competitiveness begins with defining the markets where the organization competes for talent and business. The market typically will vary by level and perhaps by function. It incorporates geography including local, regional, national and global. It will also typically vary by industry and occupation or profession. Market competitiveness target is a key element of an organization’s compensation strategy. Considerations to position at less than the market median include: stable environment, great reputation and opportunity, high benefits, high scrutiny, affordable area, not-for-profit, plentiful supply of desirable employees, and currently paying below median. Considerations to target above the market median include: currently have great employees and recruit only the best, need particular skills short in supply, unstable employment history, less desirable geography, high cost of living area, highly profitable, and currently paying above median. Base salary has an important role in compensating employees as it provides ongoing job worth and reflects ongoing performance. Design elements include salary range width, how the organizations expects its employees to move through a salary range, the purpose of each segment of the range, and whether differentials or special short-term ranges are to be used. Annual incentives are meant to reward annual performance. Elements to consider include eligibility, incentive opportunity, performance measures, performance feedback schedule to participants, and payment or holdback schedule. Long-term incentives, in contrast, are meant to reward a longer performance cycle. Design elements include length of performance period, eligibility, incentive opportunity, performance measures, performance feedback schedule and payment or holdback schedule. Please contact me at nlappley@lappley.com or (847) 864-8979 to discuss any comments or questions you may have regarding the importance and how to develop a compensation strategy.